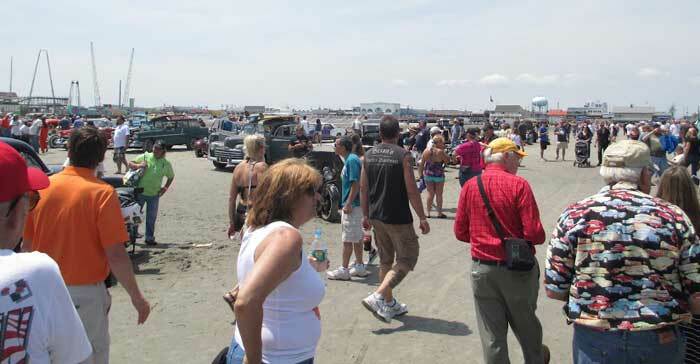 Click here for photos from the 2011, 2013 and 2016 Pumpkin Run in Egg Harbor Twp. 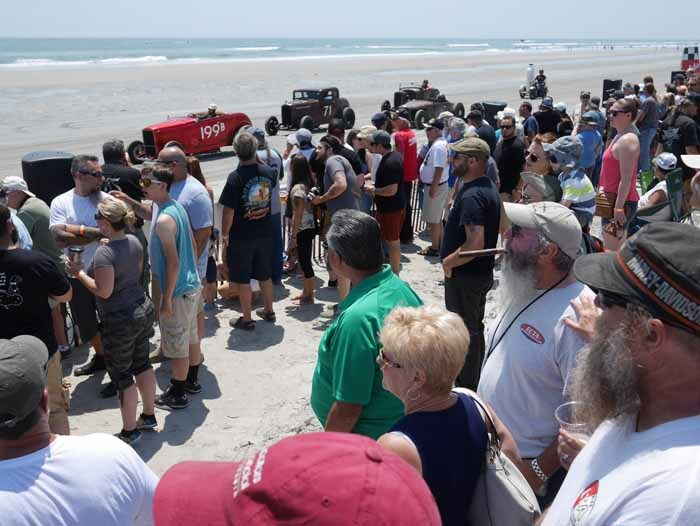 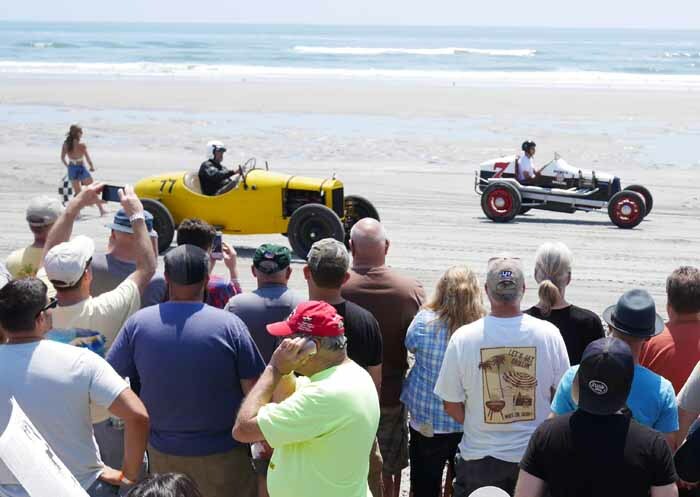 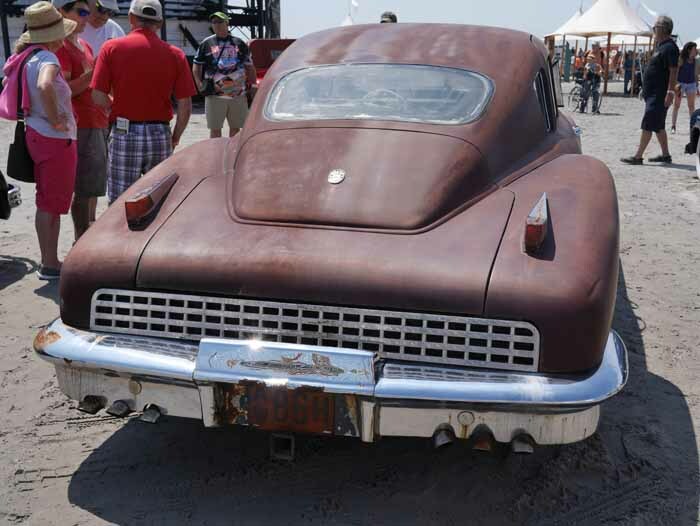 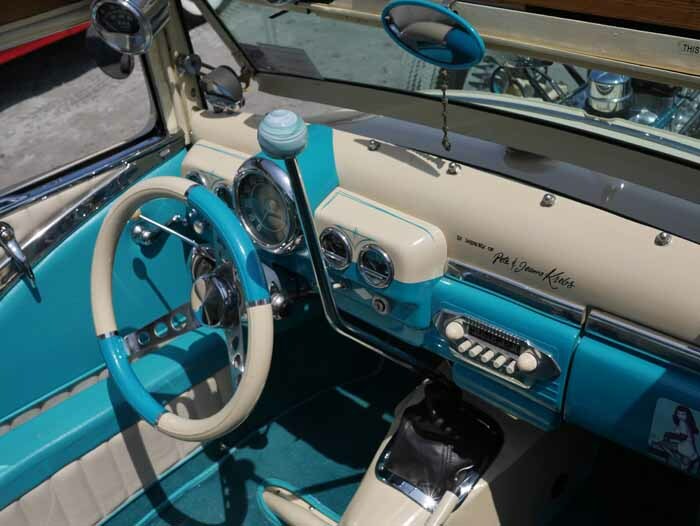 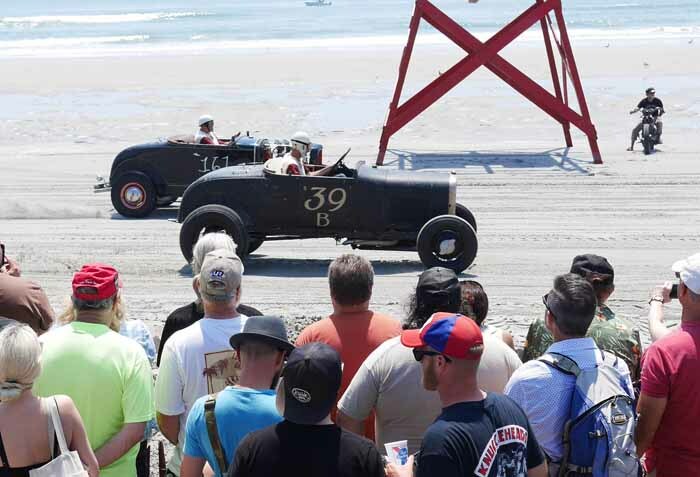 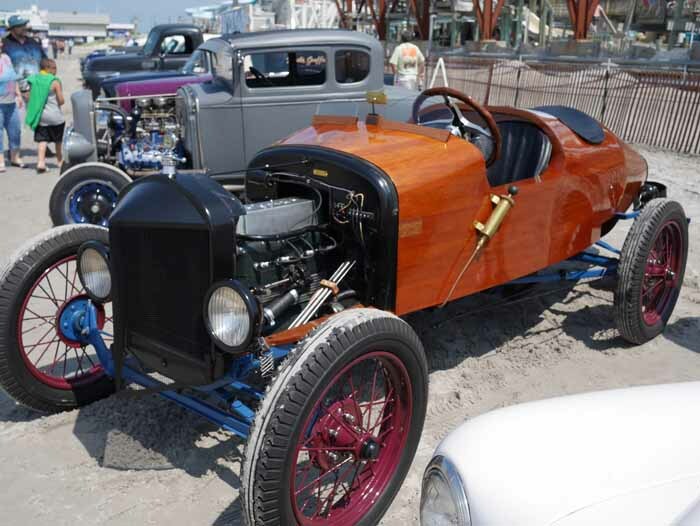 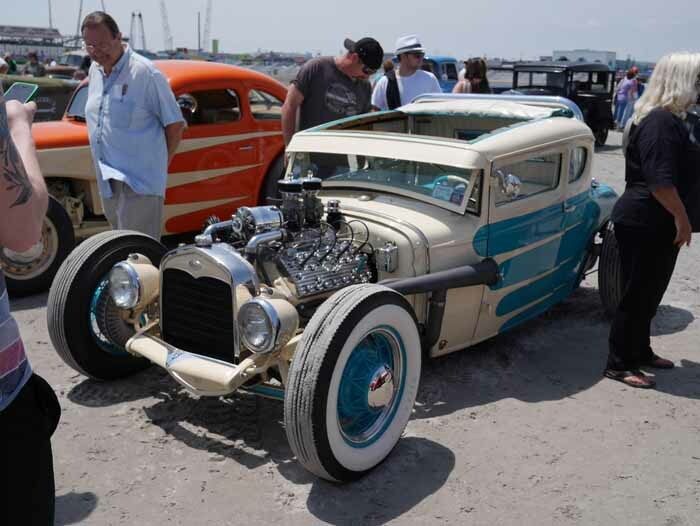 Click here for photos from the Atlantic City Car Show and Auction. 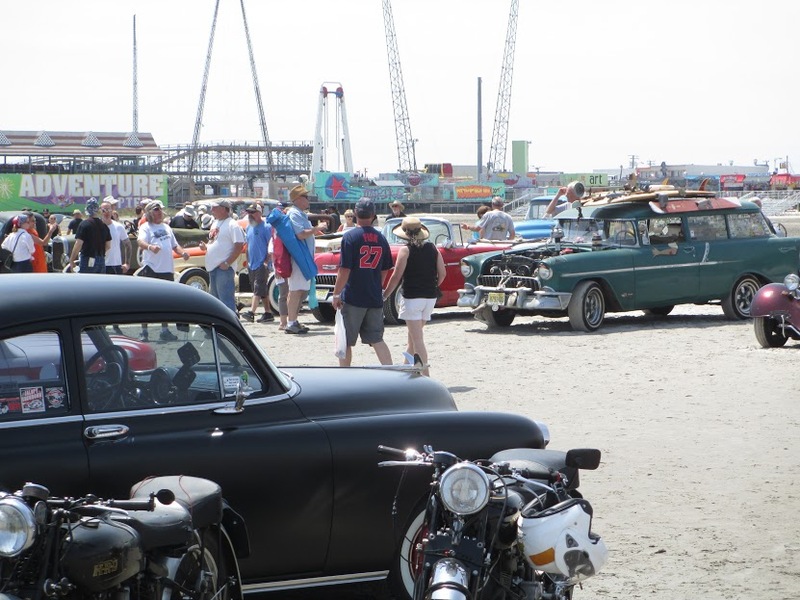 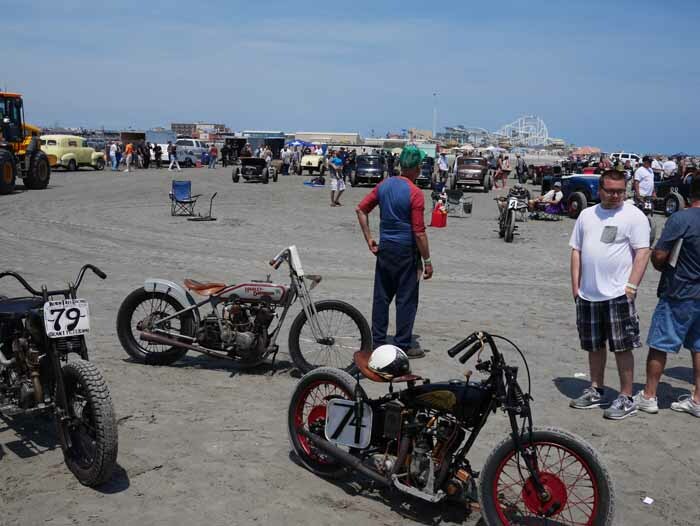 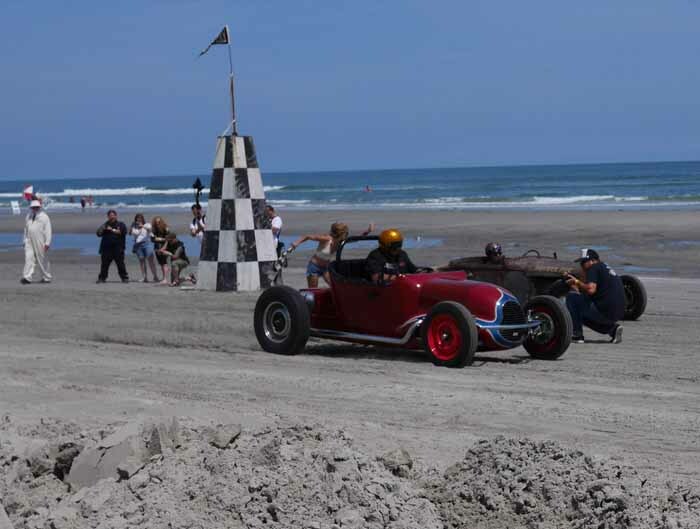 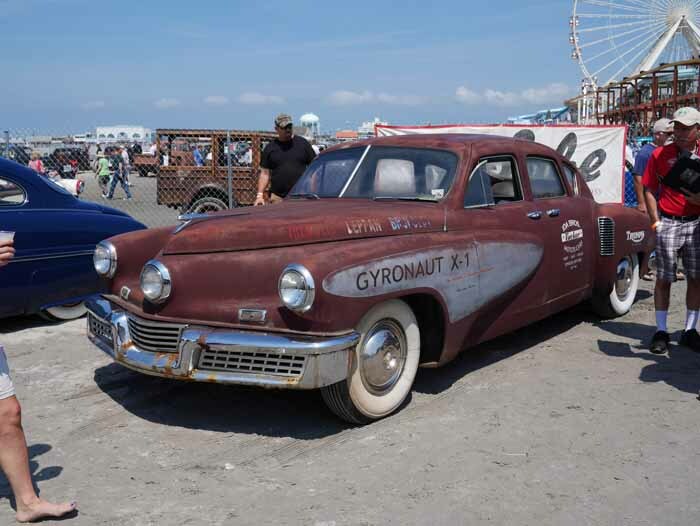 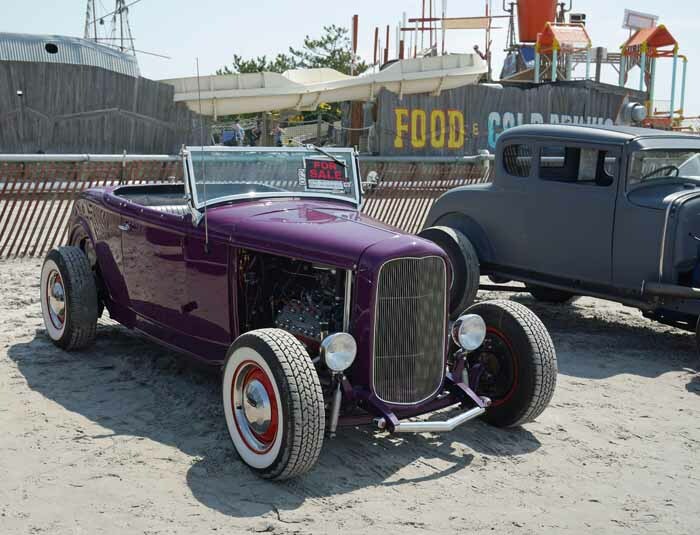 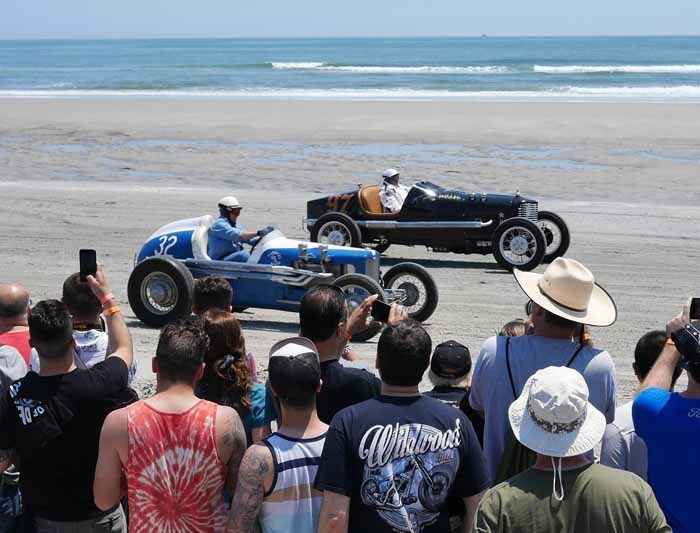 Click here for photos of the Ocean City, NJ Car Show and Boardwalk Cruise. 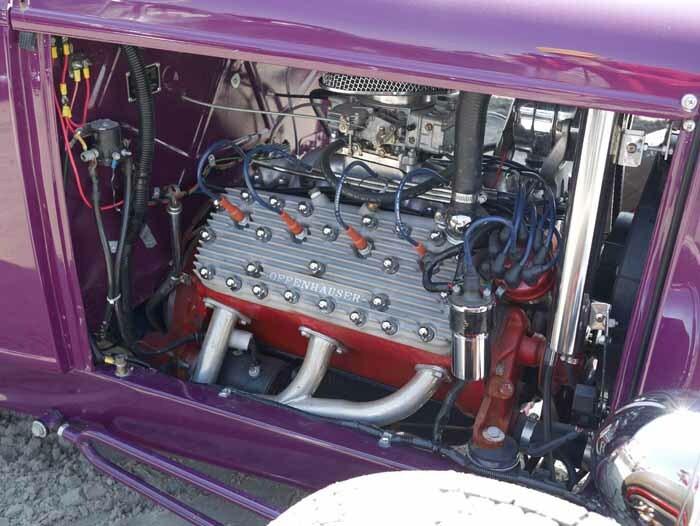 Click here for the NHRA Power Tour stop in Harrisburg. 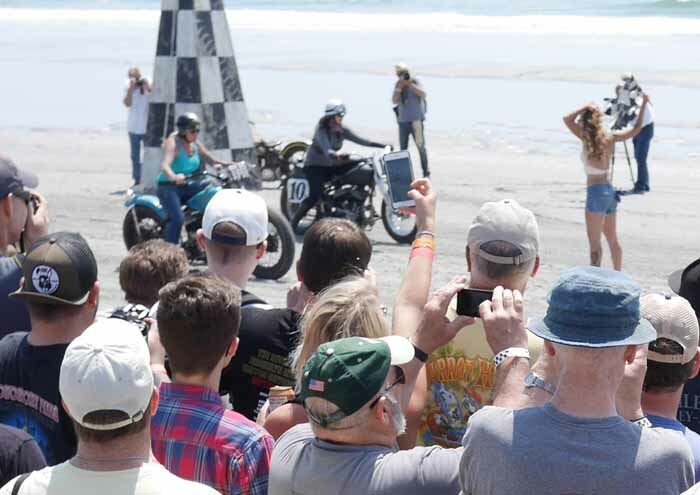 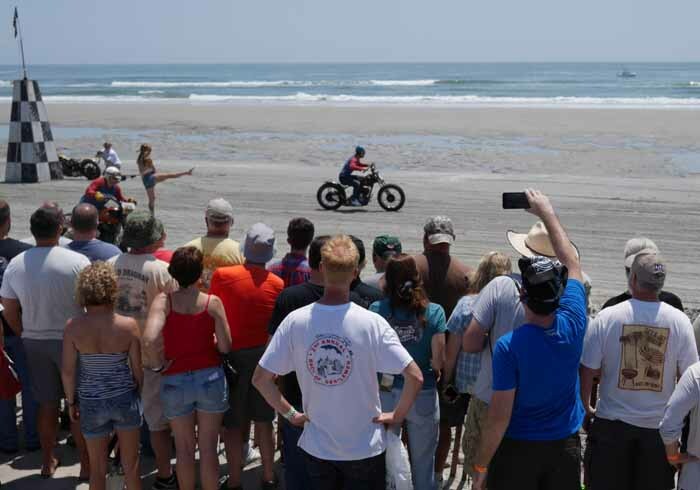 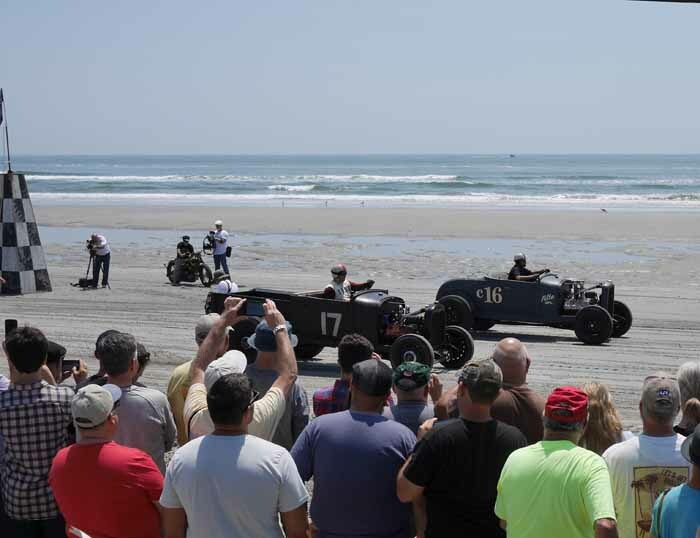 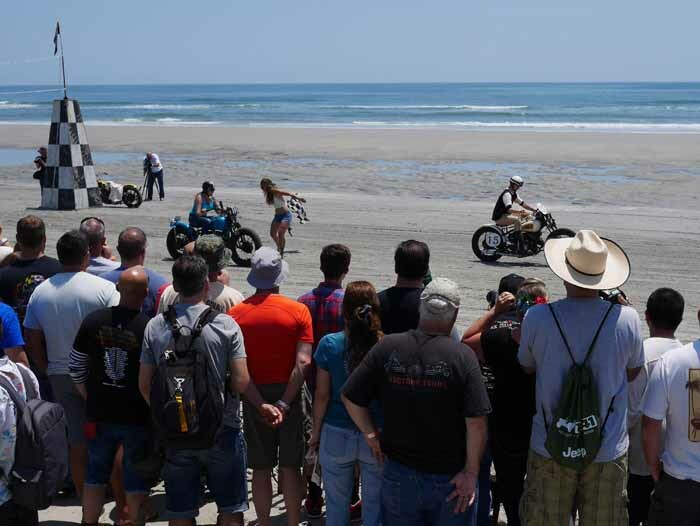 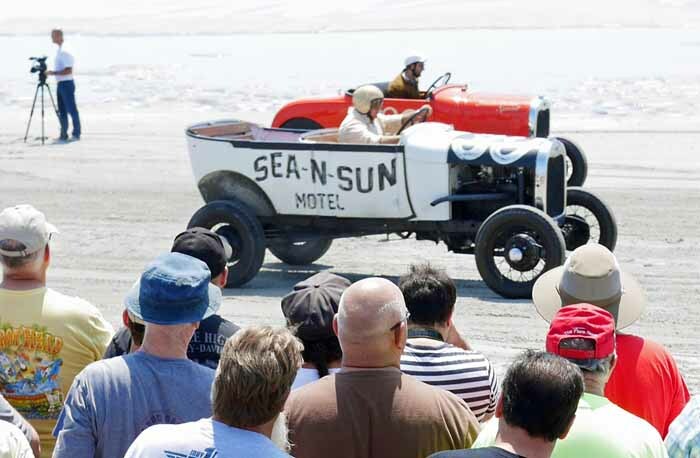 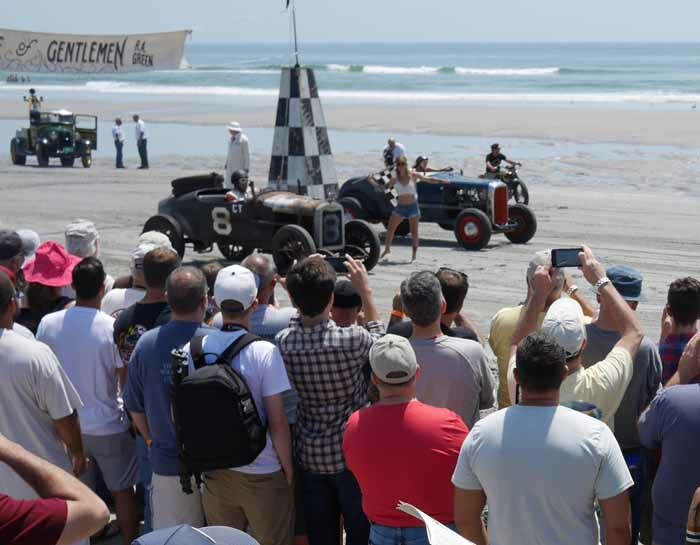 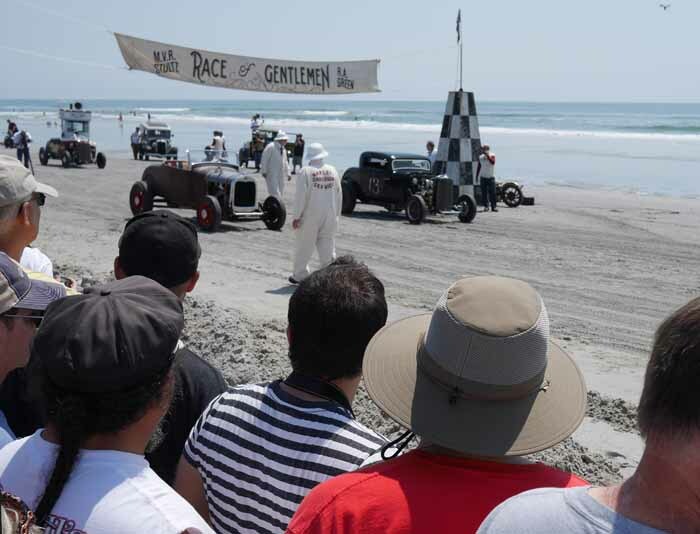 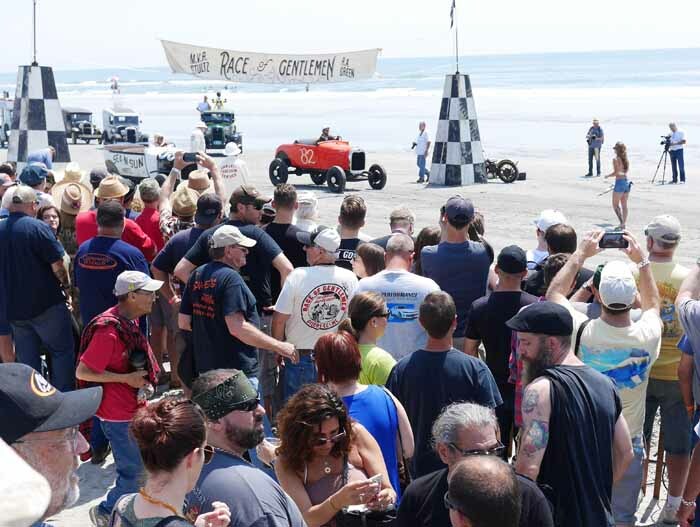 The Race of Gentlemen in 2016 was the fifth annual 3-day event and I had never heard of it! 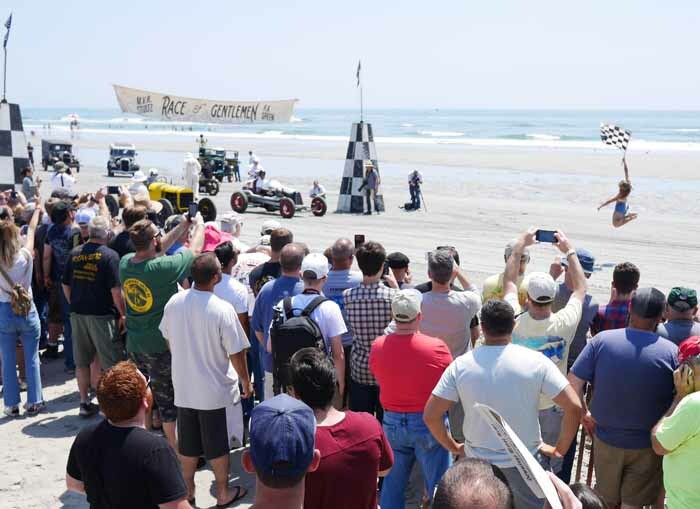 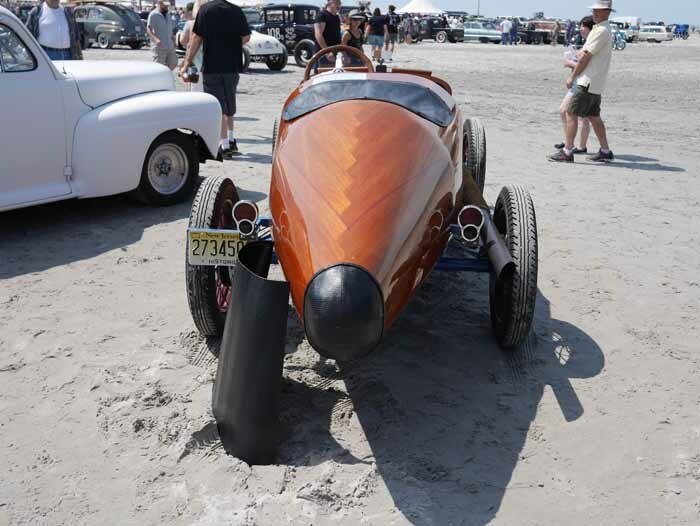 I live just an hour from Wildwood, NJ and thought that I was well informed on car and boat happenings in my area. 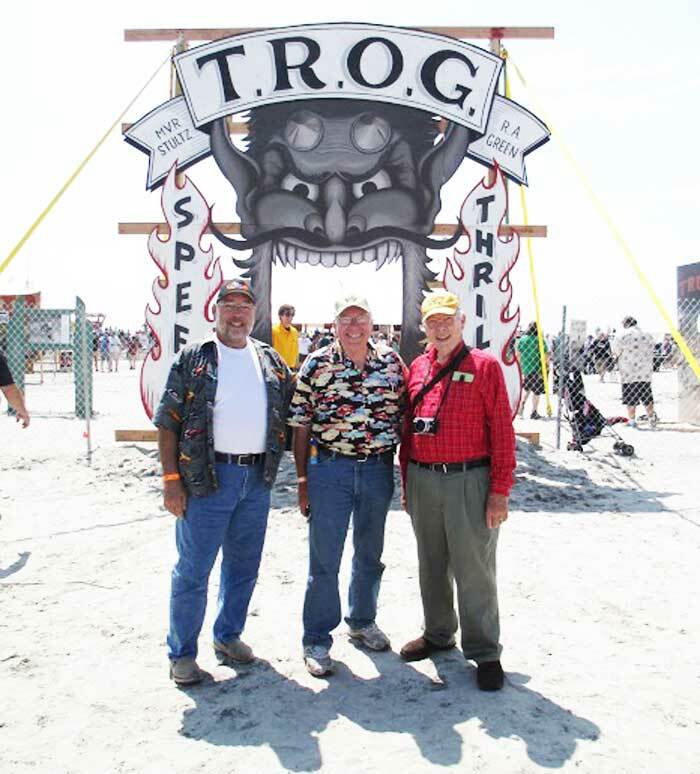 TROG participants come from all over America and Canada. 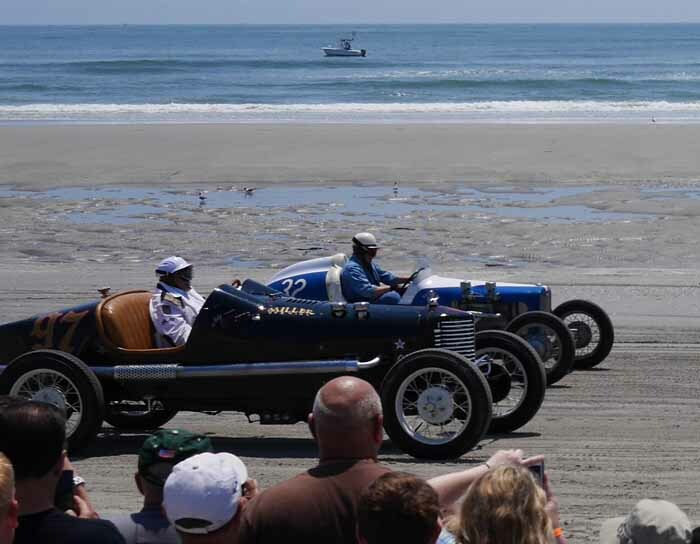 A person standing next to me was a German who drove from Detroit to see this rare spectacle. 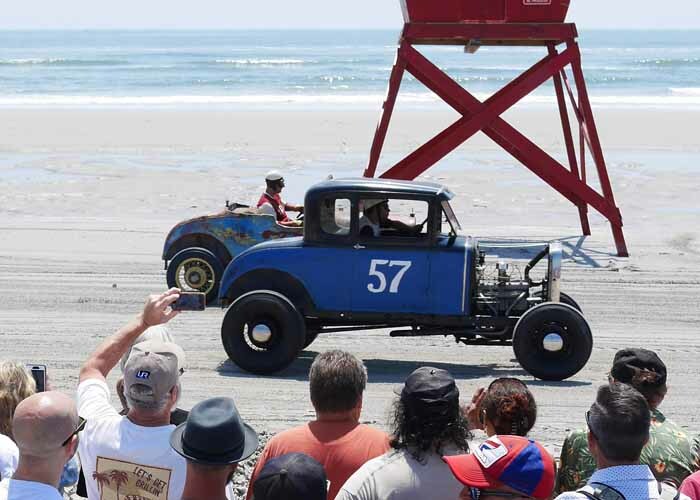 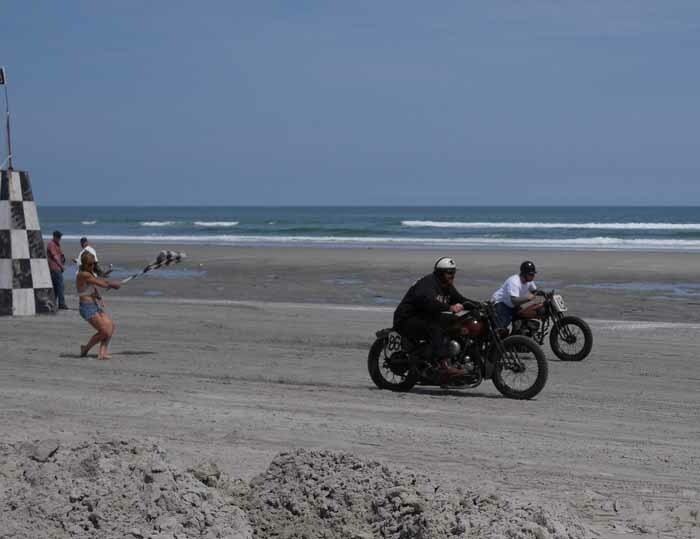 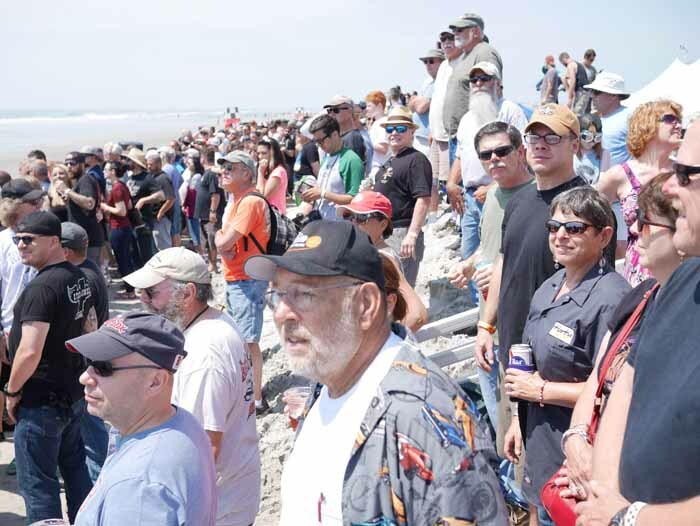 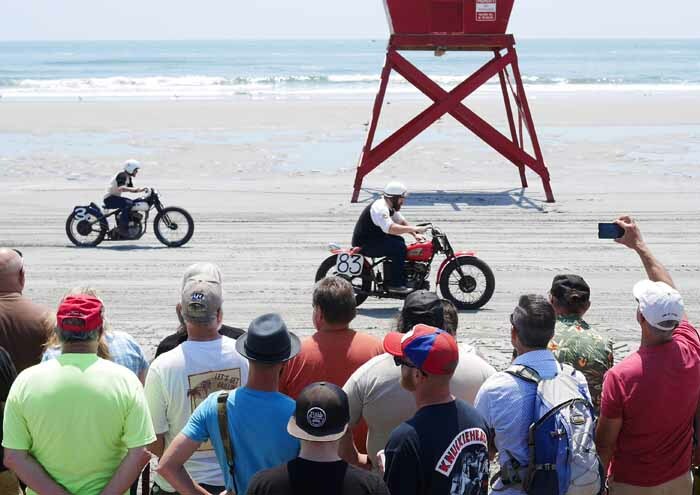 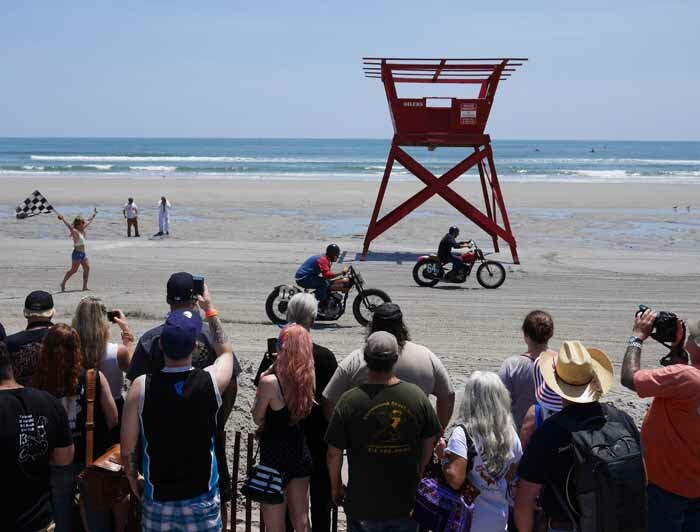 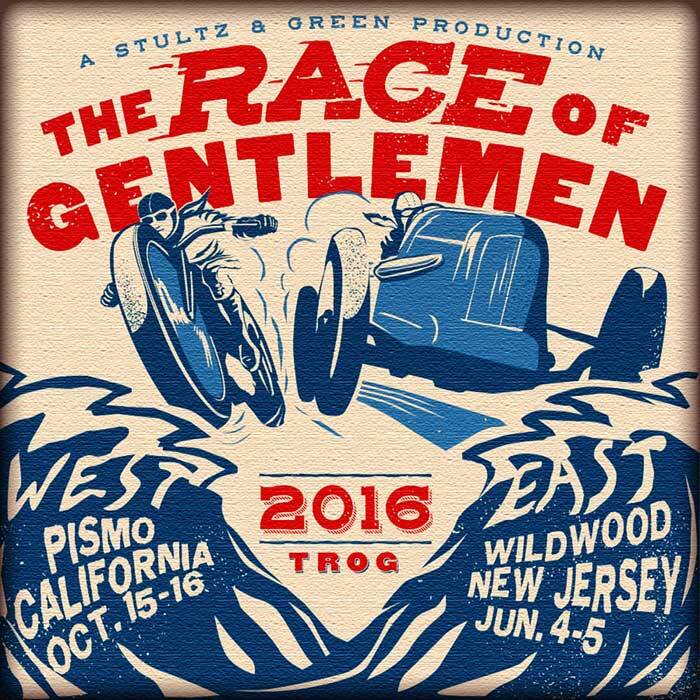 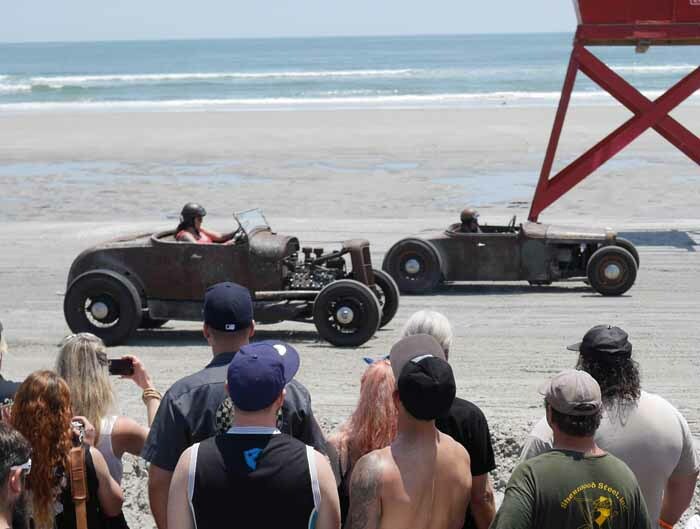 It has become so popular that the first Annual TROG West will be run this year in California! 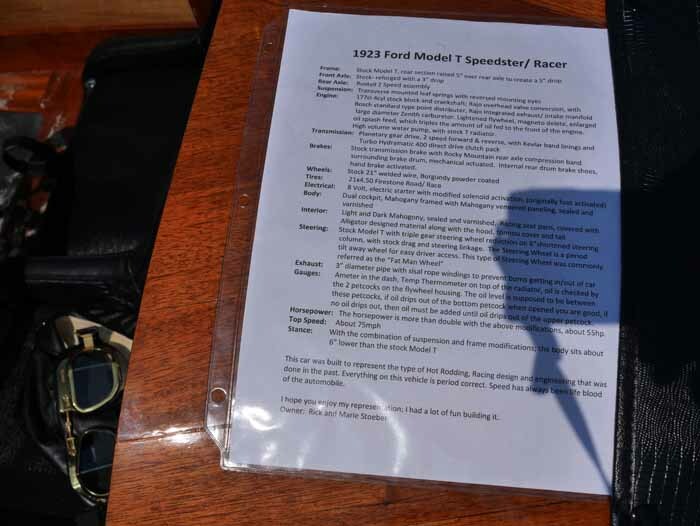 I could only attend Saturday, so the 40 photos on this page only give a small taste of the excitement. 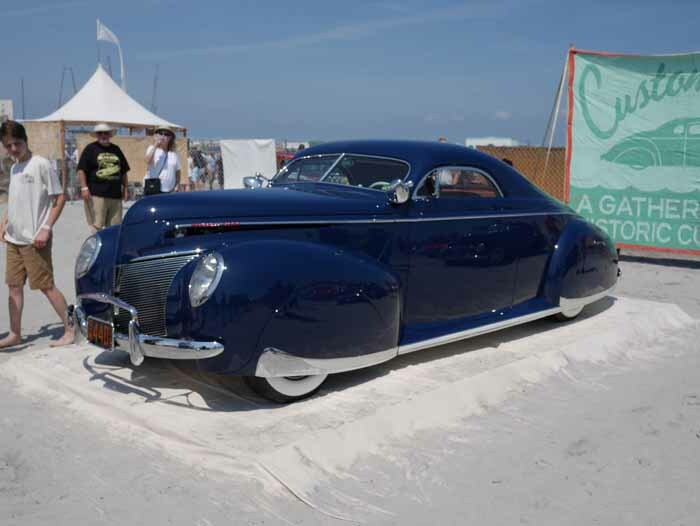 I once owned a '39 Mercury coupe, but it didn't look like this one! 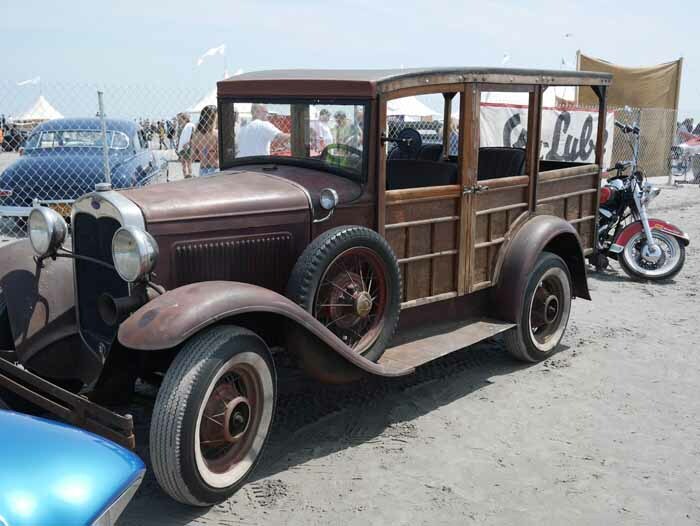 An untouched original woody - except for the "Port-o-Walls"
We came for the races and were only disappointed with the limited view. 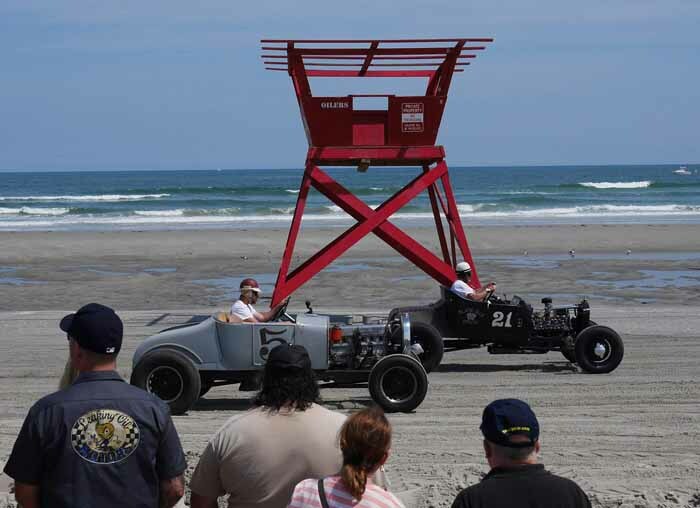 They need to fix that next year! 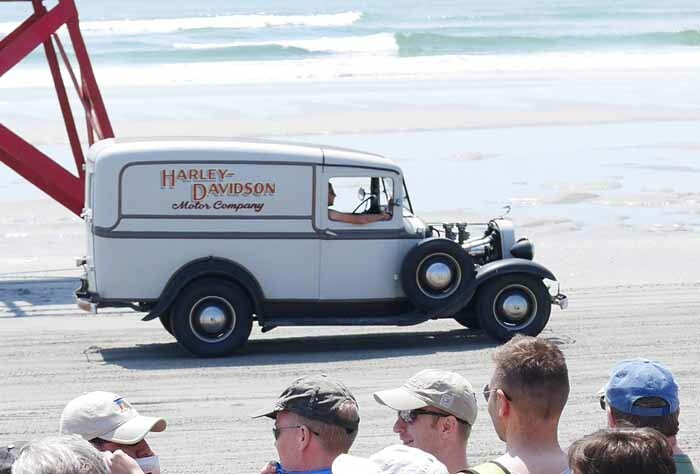 This Harley panel truck led a pack of racers back to the finish line and pits after about 20 matches. 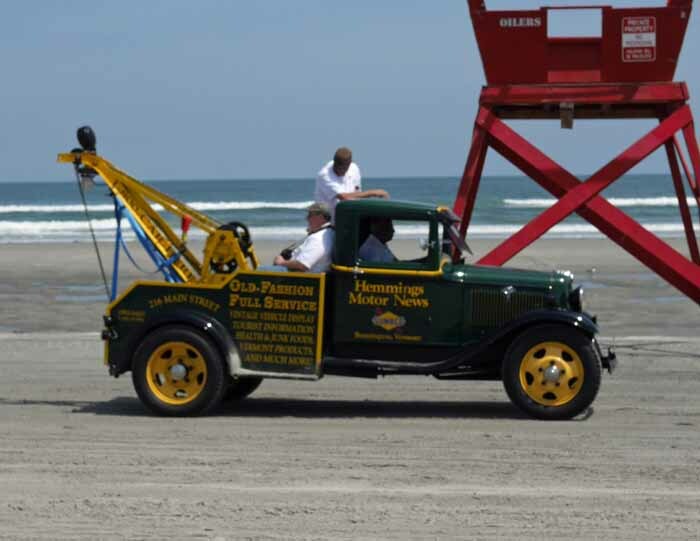 If needed, a Hemmings tow truck was ready to help.